Sorry for the late post….but after a lot of finals, players-party and banquet it was to late to work on the photos. At the next day Anna Majrina (also Pyramid champion) played against Jasmin Ouschan (10 Ball). This could have been a super tight match. Anna played very strong and with strong nerves. She started to run the first rack, but shot the 9 before the 8. It ended up 6:4 for Jasmin, but could have been different if Anna would not make this mistake in the first rack. 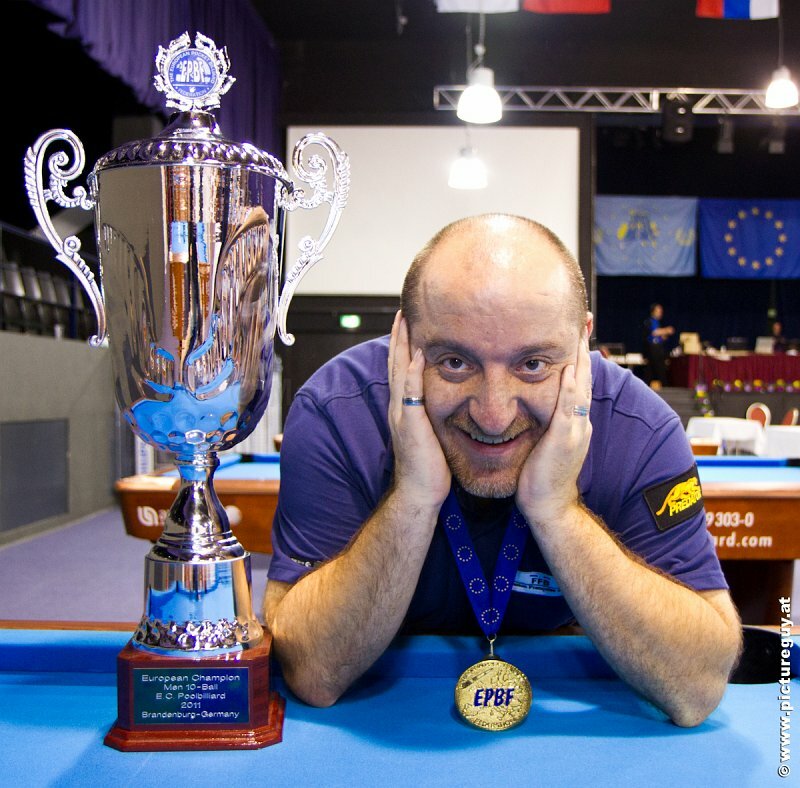 I was watching the Men 10 ball finals (Stephan Cohen and Radoslaw Babica)…Somehow a bit funny because Stephan was behind the camera at the 9 Ball Finals. Both players played a great match but at this last moments at the tournament both of them where exhausted I guess but kept on fighting. My deepest respect to all the wheelchair players. Its amazing how strong you guys play with that difficult angle of view. I never tried to play in a wheelchair but I talked to some players who did that and they told me how tough this is. After the last finals I was kind of relieved….it was so much fun all week long but also very stressful….just little sleep every night to get the pictures online and carrying around my gear all day long is a tough job. But when I look at the photos after that, I am happy I did. It was again an awesome event with super nice people. We had so much fun with you guys and so it was kind of tough again to say goodbye after the banquet. But as everybody knows, after the EC is before the EC and we will see you guys again next year. Thanks to everybody to make this awesome event what it is! And again congratulation to all players!! !